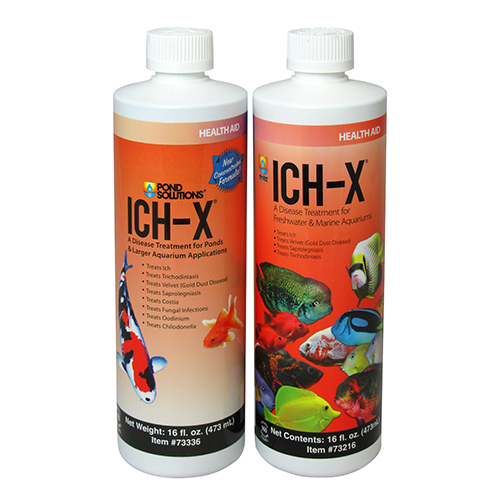 Ich-X® utilizes the most widely respected formulation for the treatment of ich, using a less toxic form of malachite green, which makes it less taxing on biological action and safe for scaleless and sensitive fish like Corydoras. 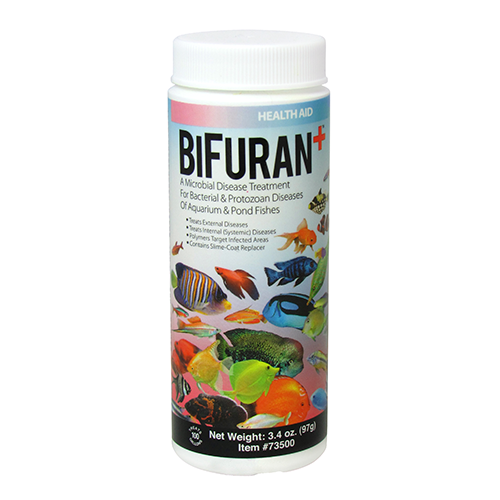 For Aquarium: To treat "ich" disease (ichthyophthiriasis) of freshwater fishes and "marine ich" disease (cryptocaryonaisis) of marine fishes, add one (1) teaspoon (~5 mL) of Ich-X® to 10 gallons (38L) of aquarium water. 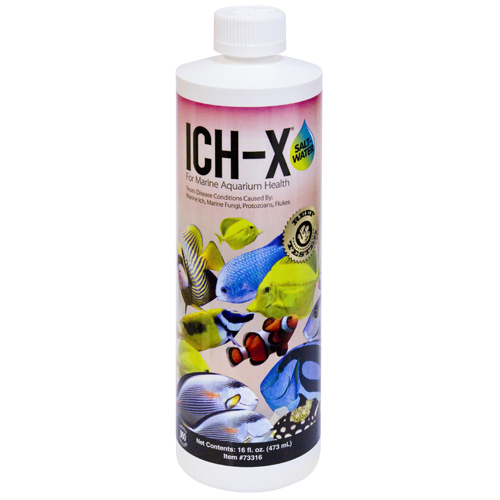 For Pond: To treat "ich" disease (icthyophthiriasis) of pond and freshwater fishes, add one (1) teaspoonful (~5 mL) of Pond Solution® Ich-X® to 50 gallons (189 L) of Pond or aquarium water. One (1) ounce (29 mL) treats 300 gallons (1,135 L). 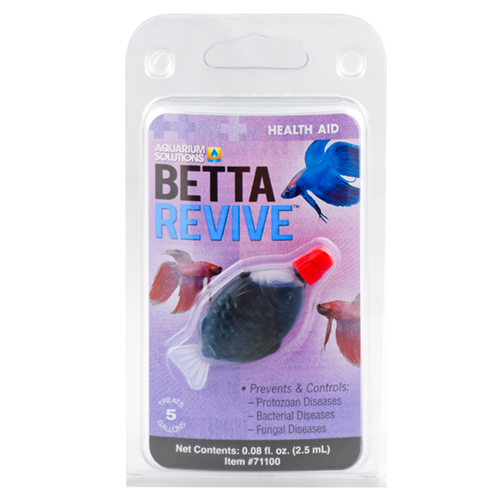 WARNING: DO NOT ALLOW TO FREEZE – If you find green crystals under the seal of the bottle when opening or noticeable clumps in the material when poured out, the product has been frozen and should not be used. 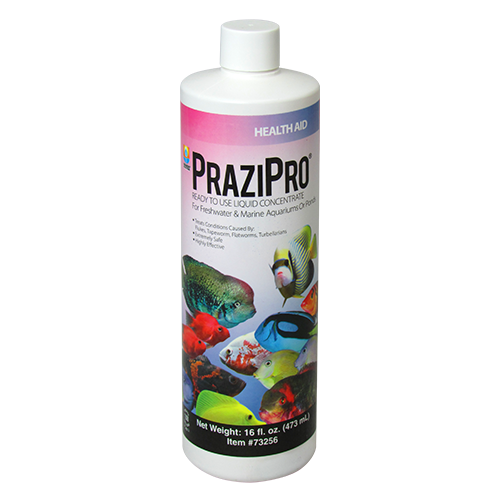 When frozen the active ingredient can become lethal to fish. 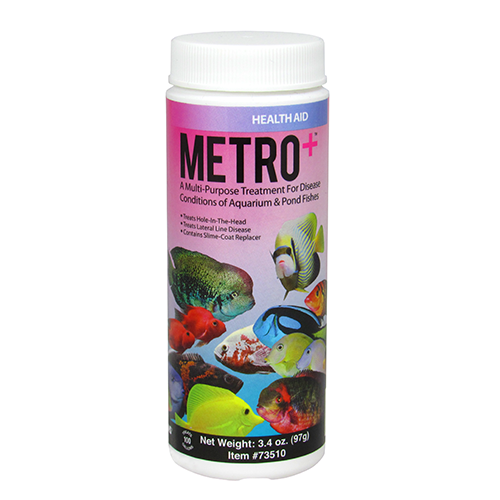 For Pond: Water, Formaldehyde (<22%), Methanol (<7.5%), Malachite Green Chloride (<0.2%). 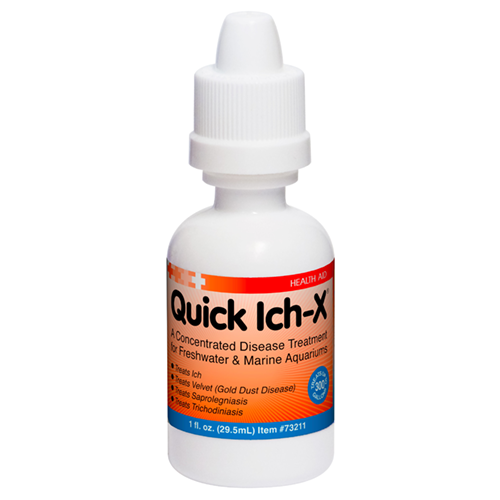 Dosage produces concentration of 0.5 mg/L of malachite green and 15 mg/L of formalia ~5.55 mg/L of Formaldehyde.